We support legal matters, particularly about Japanese visa, incorporation, agreement, DNA testing. We also translate English or Chinese legal documents to Japanese. 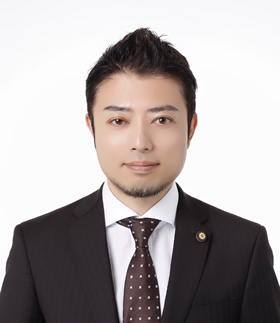 Matsumura Lawyer’s Offices supports enterprises employing foreign nationals and foreign nationals who need qualifications for stay in Japan by preparing and submitting documents to government agencies. We also translate English agreement into Japanese, and amend them to match Japanese law. The administrative scrivener’s Office Matsumura law offices promises the best legal render of service. We try for acquisition of correct information, and protect rights of the client, and to pursue convenience of them. Appropriate reporting is made to client, and after consultation, the best plan will be proposed. Of course, we have legal confidentiality anytime. Also we will introduce appropriate experts as necessary. We declare we contribute to your happiness or business through our services. Prepare and submit documents for visa acquisition to Immigration Bureau. Translation of English agreements and their amendment. Promissory letter of the employee. Collecting DNA samples and make certificate for immigration or other legal procedures. Incorporation and any other authorization, licensing by the government. • Prepare and submit documents to government agencies for various licensing requirements., together with consultations. • Prepare contract including license agreement. • Advise corporate clients regarding compliance, dispute resolutions, information security,, also as non-executive director and auditor of corporations. • Perform legal research in response to inquiries from corporate clients. • Localize and translate English agreement and other legal document. • Giving lectures regarding compliance in universities and corporations. Our office is open from 9 a.m to 6 p.m everyday except Saturday and Sunday. To access our office, please get on the train of Tanimachi line ,Osaka City Subway. 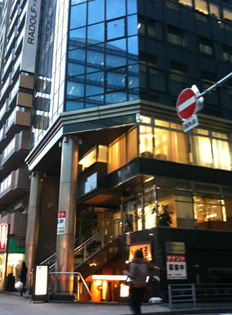 After getting off the Tanimachi 4chome station, it is 5 minites walk to reach us. Please feel free to call us; +81-6-6949-8551 We have email consulting in English. Feel free to mail us. Copyright (C) 松村総合法務事務所 / ビザ総合サポートセンター / DNAローカス大阪オフィス. All Rights Reserved.